Alaska Airlines, which actually calls Seattle home, acquired Virgin America for $2.6 billion last year in a move designed to ramp up its Californian presence. However, the company recently announced that it will kill off the Virgin brand name in 2019. 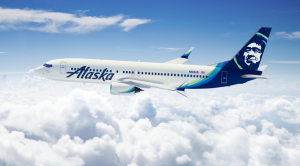 In an effort to up its own offering, Alaska Airlines still plans to utilize the best features from Virgin moving forward. In fact, Virgin’s mood lighting, music, and high-speed internet will be incorporated into Alaska’s planes by the end of 2019. Alaska is going all out, even revamping the uniforms of its employees from the flight attendants to pilots, designed by Luly Yang. Along with an improved first class, Alaska planes will be able to stream Netflix and Hulu media in fall of 2018.